Although the practice of Robert Lunn & Lowth has been carried on at number 2 Sheep Street for well over fifty years, the name Robert Lunn is one that appears over 100 years ago in legal documents, as Robert Lunn, Senior, started practising as a solicitor in Stratford upon Avonabout the year 1874. Furthermore, there is a clear professional connection between Robert Lunn, Senior, and the well known family of Hunts who were attorneys, bankers and more particularly Town Clerks of Stratford upon Avon for a period from 1762 until 1874. William Hunt was a solicitor who carried on a practice in Stratford and was appointed Town Clerk of Stratford upon Avon in 1762. 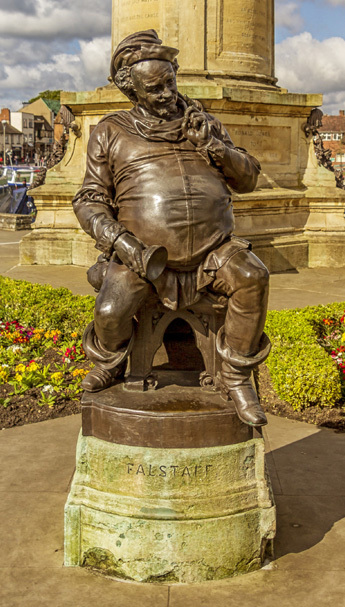 He, two sons, two grandsons and a great-grandson all served as Town Clerks of Stratford upon Avon. As can be seen from the records of Town Clerks in the Town Hall, the Hunt family served as Town Clerks from 1762 until 1874. It will be appreciated that it was customary for the Town Clerk also to be engaged in private practice as a solicitor. The office from which the Hunt family carried on their business as solicitors and Town Clerks was at number 1 Scholars Lane. The property was in fact purchased by William Hunt in 1735. Robert Lunn, Senior, was in partnership with Thomas Hunt, the last of the Hunt family to hold the office of Town Clerk from 1874 until 1894, as letters and writings indicate. When Thomas Hunt relinquished the position of Town Clerk in 1894, his partner Robert Lunn, Senior, took over the Hunt practice and was appointed Town Clerk and at that time moved his office of Town Clerk and solicitors from number 1 Scholars Lane to number 1 Sheep Street. The office of Town Clerk was moved from number 1 Sheep Street to number 2 Sheep Street in 1927. Robert Lunn, Senior, died in 1910 and his son Robert Lunn, Junior, was appointed Town Clerk in his place. He remained Town Clerk until his retirement in 1942 when Thomas Ellis Lowth was appointed Town Clerk. Robert Lunn, Junior, and Thomas Ellis Lowth became partners as solicitors in 1938 under the style of Robert Lunn & Lowth. Thomas Ellis Lowth relinquished the position of Town Clerk in 1960 in order to devote his full time to the practice of Robert Lunn & Lowth. Thomas Ellis Lowth was a consultant with the firm of Robert Lunn & Lowth following this. Whilst is must be emphasised that Thomas Ellis Lowth is in no way a relation of the Lunn family or the Hunt family there is nevertheless a professional connection between the present Firm of Robert Lunn & Lowth and the distinguished Hunt family of the eighteenth and nineteenth centuries, the first member of which practised as a solicitor in the year 1762 – a period of over 200 years. It is a record and a connection which the present partners view with a considerable amount of pride. The building within which the practice is now located at number 2 Sheep Street probably dates back to around the sixteenth century in part. As far as history is known, the practice was located next door to the old Police Station and the Town Hall was used as a local court. 2 Sheep Street still houses the old police cells which are believed to be Victorian in age and these cells are currently used for storage of securities. Robert Lunn & Lowth are pleased to be associated with the Heritage Nature Trail which operates an annual open day for some of the local buildings of historic interest which do include the police cells within number 2 Sheep Street. These are open to the public on a specific day each year.